Even if the world is getting darker and more intricate, don’t be afraid. On a lonely and silent night, pick up a candle, light it by fire, and you will start to realize that you could still find hope in your life. 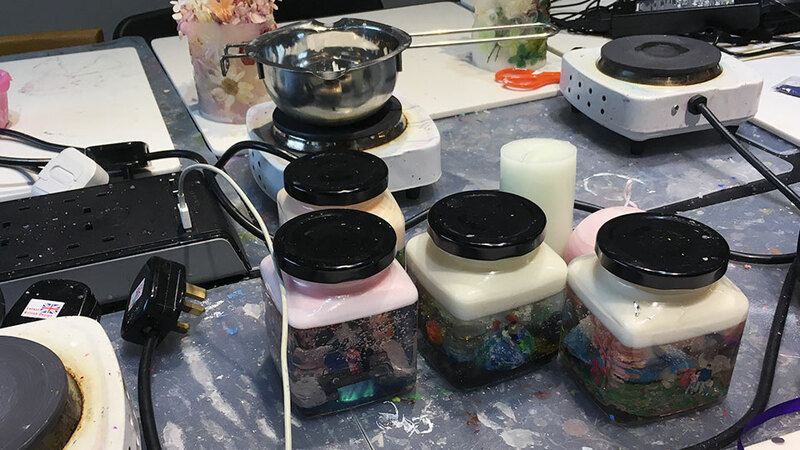 Although there are oodles of lighting tools in the world, Catrina, the founder of Make Your Day, relates to her own experiences and tells us that candle has the magical power that transcends all other lighting tools. Not only can candles create a cozy ambience, but they can also heal the hearts of many people. Never underestimate the influence of a candle flame. Before establishing the brand “Make Your Day”, Catrina was a full-time drawing teacher. Working and living under high pressure for many years, she was once diagnosed with mood disorder, which had left her in a predicament. She had gone through a lot of sleepless nights, and she was exhausted by the mockeries of her colleagues because she needed to request for sick leave very often. At that time, Catrina’s doctor suggested her to find a hobby to divert her attention away from the stress. Then, she started to try develop different hobbies, and yet she soon felt an affinity with handcrafted candles. With the encouragement of her boyfriend, Kilio, who is also a hairstylist, Catrina started to delve into handcrafted candles. To Catrina, candles are not just handicrafts, but “a medicine without any side effects” that keep surprising her. 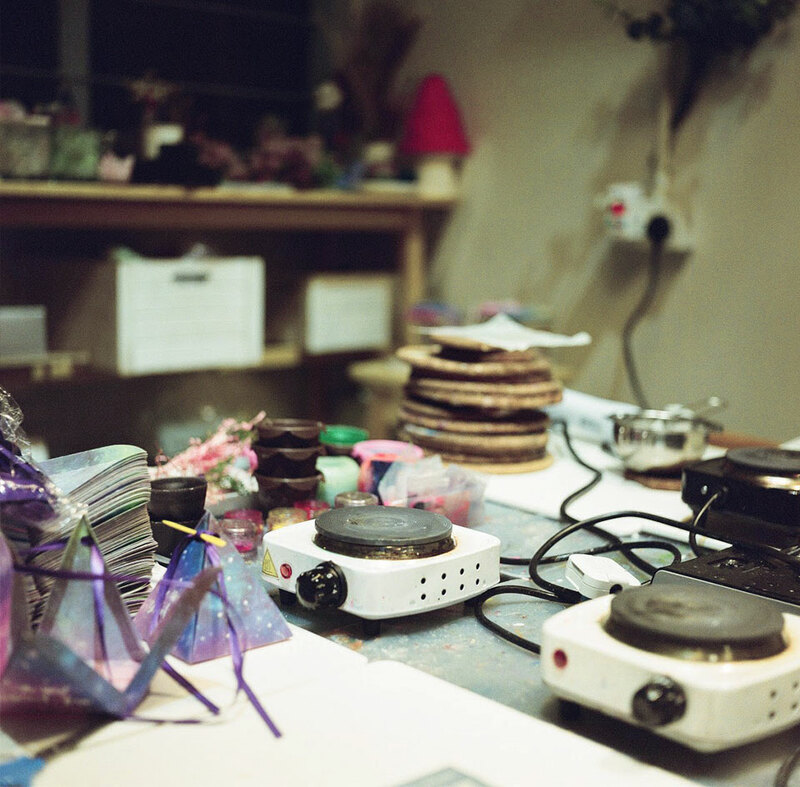 Catrina and Kilio frankly said that they just wanted to enjoy the process of making candles at first in order to cure the mood disorder. 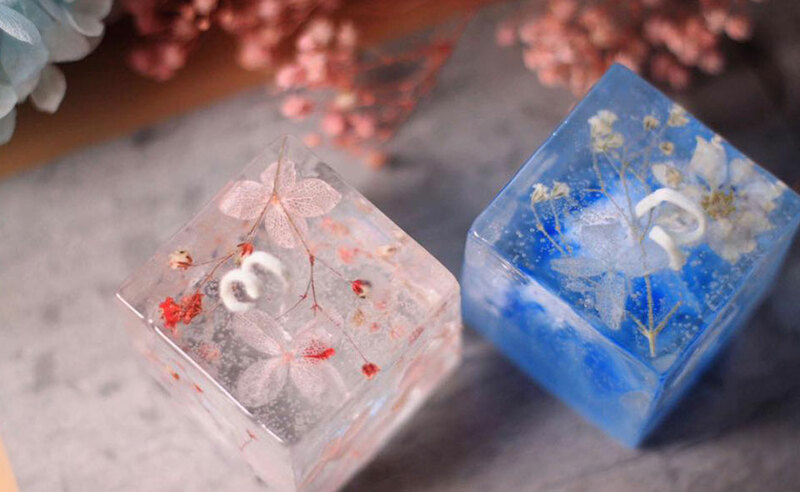 Since their candles kept receiving good comments from others, they decided to establish a new brand and sold their candles in handicraft fairs and through online platforms. 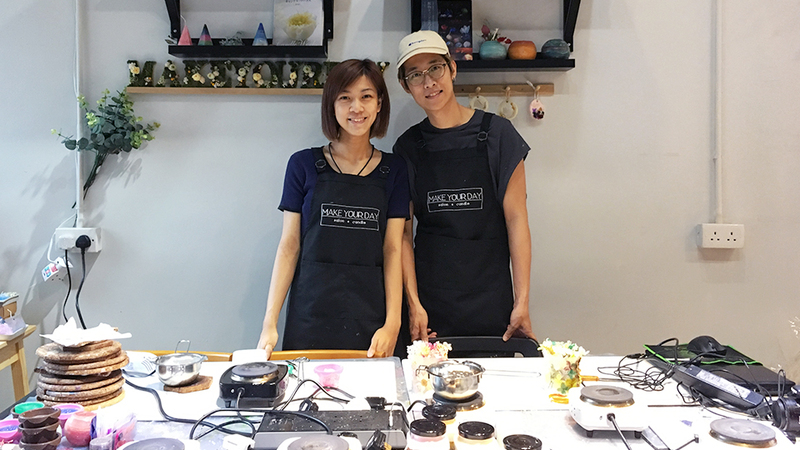 Finally, they opened a studio in Fo Tan, which is well divided into two sides for both making candles and doing hair styling. These two things seem to be irrelevant, but they have something in common—allowing people to stay away from anxiety for a while. 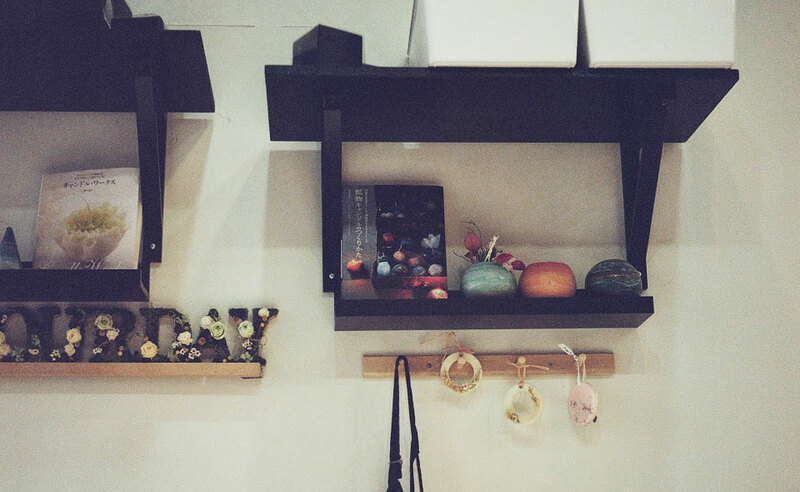 From reading the books about handcrafted candles, to having a studio of their own, everything happened in fast-forward. “We both don’t like to push ourselves. When there is no expectation, there is no disappointment. Ha-ha.” They beamed with pleasure, revealing an attitude of taking things easy. Just as how Catrina discovered her passion for making candles, life is filled with unexpected moments. Why don’t we try to accept all things calmly? When it comes to candles, one would probably associate with the candles that we use during birthday and mid-autumn festival celebrations. The handcrafted candles sold by Make Your Day are very special. They have different shapes like triangular pyramids, spheres and crystals. And of course, it requires loads of hard work and time to make these beautiful candles. 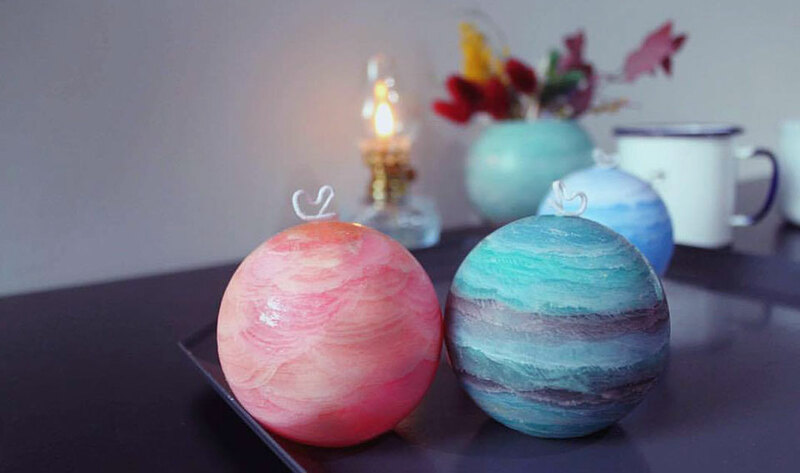 First of all, you have to decide the type of candle that you want to make, since different materials are needed for making different candles. After that, you need to consider the wax for creating the candles with the color, transparency and softness that you want. 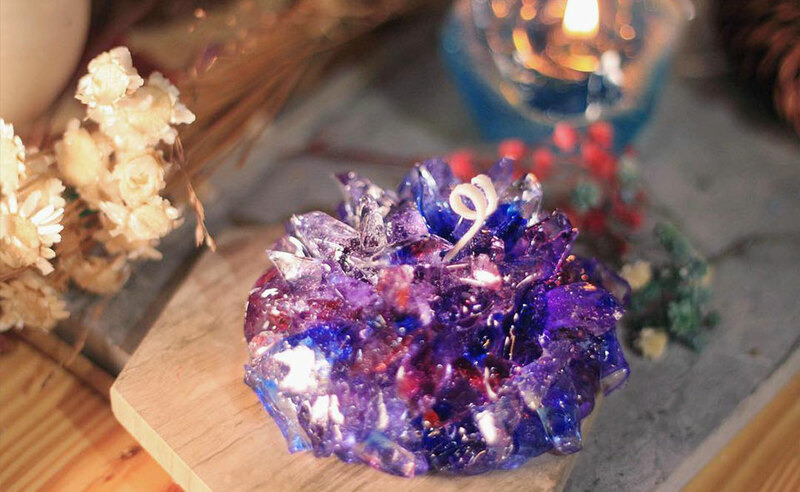 Melt the wax according to its melting point and wait until it cools down. During the process of cooling down, add some pigments and a few drops of aroma oils. Stir the melted wax gently with a rod and then pour it into the mold. Now it is the time for you to add your own design to the candle! Catrina pinpoints that the key to make a candle is patience. Even a candle with a diameter of 10 cm requires more than 2 hours to completely solidify. Making candles is definitely a good way for Hongkongers to slow down and eliminate stress. Though Kilio is a hairstylist, he has also fallen for the charm of handcrafted candles. “From choosing wax to adjusting the color and temperature, every step needs to be planned before actually making a candle. When the finishing product meets with my expectations, I would have a great feeling of achievement.” Perhaps, only handcrafted candles can give Catrina and Kilio an incomparable satisfaction.